A lot of the romance authors I know who blog have a “boyfriend of the week” feature. They post many drool-worthy pictures of gorgeous men and I love it. But I want to put a little twist on it. Most of these authors are happily married. Since I am not, I’m going to post a “future husband of the week.” The requirements for a future husband are different than those for a boyfriend. As all romance readers know, the hero can’t just be attractive. He has to have other qualities, such as charm, intelligence, a good sense of humor, compassion. The list goes on and on. So each week I will post a guy (real or fictional) who qualifies as a “future husband” aka a romance novel hero. For my second Future Husband, I’m going to the realm of fiction. One of my favorite TV shows is BONES. 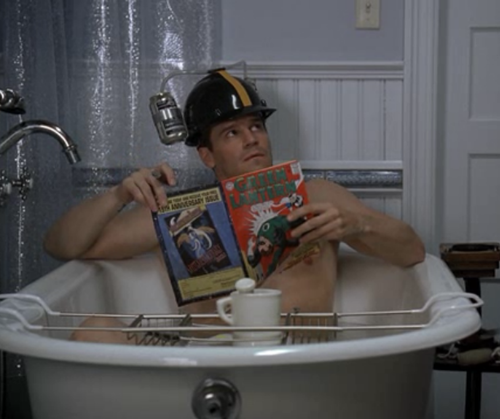 Special Agent Seeley Booth is everything that a romance hero should be. Handsome, strong, brave and loyal. But there are also a lot of fun, quirky elements that make Booth (never Seeley) stand out from the crowd. Over the years, Hart Hanson and his wonderful team of writers have added some great layers to Booth. He served as an Army Ranger and he is very true to his conviction in the good in the American government. He’s a devout Catholic, even in the face of everything he sees in his rather gruesome job. Booth has helped Brennan become more connected with the realities of life rather than the facts. I love his patience and understanding. 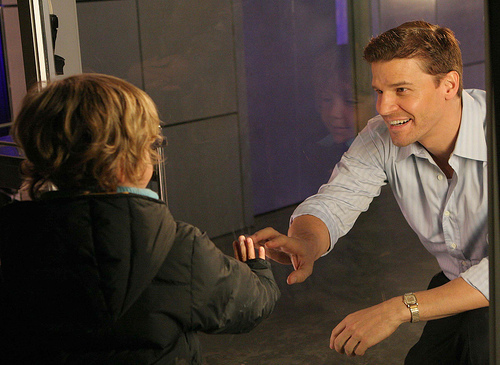 Booth also has a fun, childish side to him that keeps things interesting and forces Bones to lighten up a bit. A sense of humor is a must for a Future Husband. My favorite aspect of Booth’s character is his deep love for his son, Parker. I’m a sucker for a guy who is good with kids and genuinely likes them. What do you think? Would Booth make your list? Previous Post Doing Justice – to Books and Movies. He totally makes my Exemption List! You know, because I’m already married but we have an Exemption List of celebrities and fictional characters we’re allowed to hook up without penalty. And yes, fictional characters were totally on here before you posted this.